1. The background is showing red when you start. 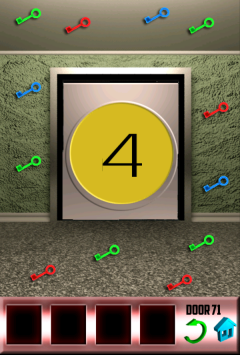 When you see the number 4 (since there's 4 red keys), press the circle and the background will change to yellow. 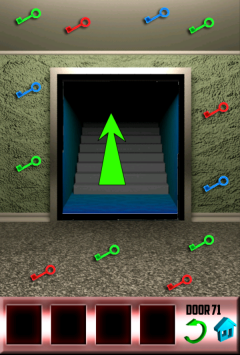 When you see 3 (since there are 3 blue keys), press the circle and the door will open. If you mess up at any point, it'll turn back to red and you'll have to start over.